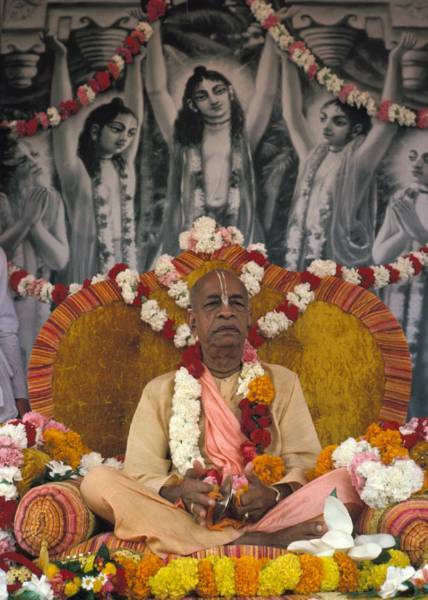 "I offer my respectful obeisances unto His Divine Grace A.C. Bhaktivedanta Swami Prabhupada, who is very dear to Lord Krsna, having taken shelter at His lotus feet. "Our respectful obeisances are unto you, O spiritual master, servant of Sarasvati Gosvami. You are kindly preaching the message of Lord Caitanya-deva and delivering the Western countries, which are filled with impersonalism and voidism."